At Grit, we understand that no single Construction team member or planning style is adequate to guarantee project success. The key is connecting high-level waterfall schedules to Lean and Agile workflows and work packages. Grit connects this entire process from Master Schedules to Daily Huddles in cloud-based, artificially intelligent 4D. Our Autodesk® BIM360® integration allows models stored in BIM360 to be directly imported into Grit. This allows for quick access to already processed models and ensures new versions are easily accessible. 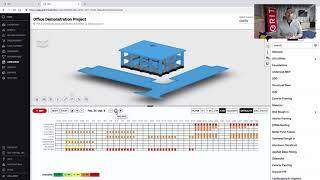 Simply connect your account to BIM 360 and all of your projects will be able to import models seamlessly.